SCVHistory.com | People | The Rise and Fall of William Mulholland. The Rise and Fall of William Mulholland. It was the beginning of the proverbial rise and fall for William Mulholland. On the triumphant day of Nov. 5, 1913, more than 40,000 Los Angelenos gathered in the northern San Fernando Valley  in present-day Sylmar  to witness the first waters to flow into that valley from Mulholland's miraculous Los Angeles Aqueduct. The hero of the city of Los Angeles, Mulholland presided over the ceremony and instructed the water gate to be opened with the famous words, "There it is, take it." In the early days of the pueblo of Los Angeles, the city water supply was obtained from the Los Angeles River. Water was brought to the pueblo from the river by way of a series of ditches called zanjas. The main ditch was called the Zanja Madre, or mother ditch. By the turn of the century, the population of Los Angeles had grown to more than 100,000. The Los Angeles River continued to be the only supply of water for this rapidly growing city. It became obvious that if the city was to grow further, it would need another source of water. In 1902, the city of Los Angeles took over the city's water supply, and the Bureau of Water Works and Supply was formed with Mulholland serving as superintendent. Mulholland drove on a buckboard through Newhall and Saugus in 1904 with his friend, former Los Angeles Mayor Fred Eaton, on their way to explore the Owens Valley east of the Sierra Nevada Range, which Eaton had visited in the 1890s. Eaton wanted to convince Mulholland that the Owens River might in some way be diverted to Los Angeles to become that extra water source that the growing city desperately needed. It was on that trip that Mulholland and Eaton hatched the idea of building an aqueduct between the Owens Valley and the San Fernando Valley. The next year, Eaton began buying land from Owens Valley ranchers and farmers under the false pretense of using the land for a water reclamation project. Once enough land was secured to get water rights to build the aqueduct, the grandiose plan was announced to the citizens of Los Angeles. Los Angeles voters approved bond issues in 1905 to finance the purchases made by Eaton, and in 1907 to finance the construction of the aqueduct. 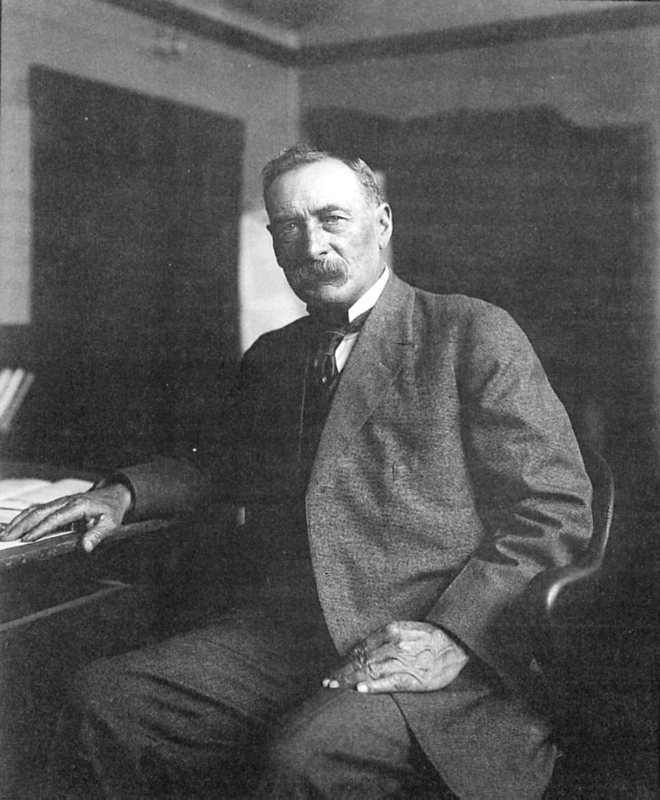 Mulholland designed and supervised the construction of the aqueduct. What seemed an impossible feat was accomplished between 1908 and 1913 as the 233-mile-long aqueduct was built on time and within budget. The water flowed solely by gravity without the need for any pumping stations. With the opening of the aqueduct in 1913, Mulholland became a huge hero to the people of Los Angeles. He was asked to run for mayor, and neighborhoods and a public highway were named for him. But to the people of the Owens Valley, Mulholland was reviled. They felt duped by land purchases stealthily accomplished by Eaton to secure water rights to the Owens Valley and complained that Los Angeles had stolen their water without adequate compensation. Beginning in 1924, Owens Valley locals began attacking the aqueduct, dynamiting some sections and letting water loose into the valley, in what would become known as the Owens Valley Water Wars. This and other factors  such as the aqueduct crossing the San Andreas Fault  led Mulholland to build a series of reservoirs to provide Los Angeles with a reserve of water close-by in the event of a disruption of the aqueduct's operation. The last of these reservoirs would provide the "fall" part of the William Mulholland saga. The St. Francis Dam was completed in 1926. Mulholland was greatly responsible for building the dam, which turned out to be flawed both in design and in geologic location. Soon after the reservoir reached full capacity in March 1928, it collapsed and sent a 180-foot-high wall of water cascading down San Francisquito Canyon and into the Santa Clara River Valley, killing an estimated 450 to 600 people in the second-worst disaster in California history after the San Francisco earthquake and fire of 1906. Mulholland took full responsibility and was never the same. He died in 1935 a broken man. But no one can take away the magnificent accomplishment that to this day provides water for Los Angeles. Without Mulholland's aqueduct, neither Los Angeles nor Santa Clarita could have grown into the cities we know today.